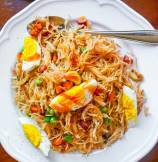 A Indian-style, sweet and sour (chat pata), vermicelli breakfast ready in just 20 minutes. 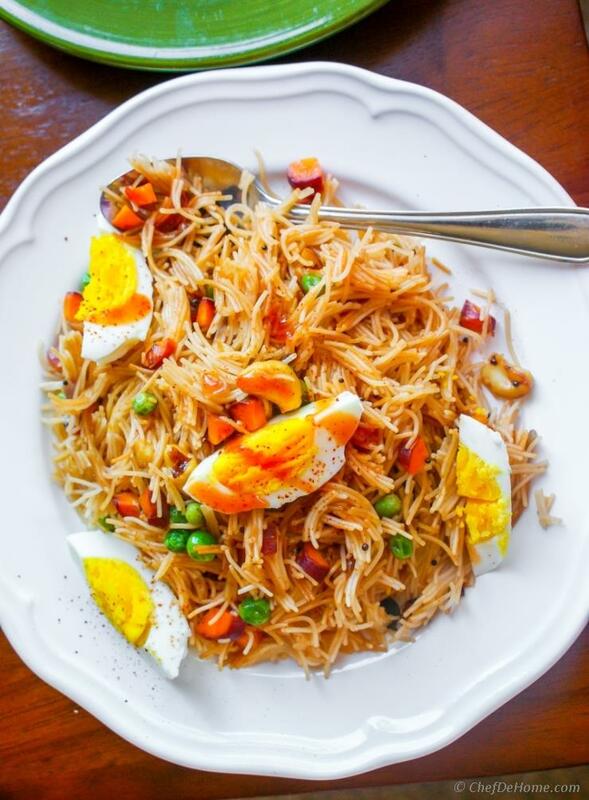 Vegetable Vermicelli or Semiya Upma is savory breakfast enjoyed in every part of the India. Made with semolina vermicelli pasta as known as semiya or semiyian... it is a twist on classic popular south Indian semolina (or suji) upma. Vermicelli or Semiya are made of semolina and cook relatively quickly and are lite on stomach. So, this is one of our favorite breakfast when in hurry.... flavorful, fast, has veggies, and I also add sliced boiled egg for a serving of protein. This recipe is little sweet and tangy take on traditional semiya upma. You will be surprised to know that the sweet and tangy kick in this upma comes from an easy to find every day pantry ingredient i.e. tomato ketchup! Oh yeah!! Simple old ketchup takes this upma tastes so so good..... plate licking good! 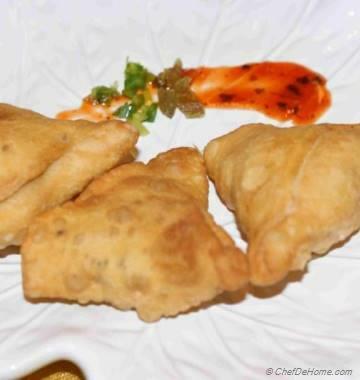 I'm SO excited to share this chat-pata (sweet and sour) version with you. Semolina Vermicelli Upma is a kind of breakfast that keep full for a long time. No between meal snack cravings! If you believe that breakfast is most important meal of the day... then this savory breakfast is calling your name! Lite and delicious semolina pasta, two small serving of veggies (carrots and green peas), and serving of protein rich eggs. This my friends, a delicious way to start day healthy, full and fabulous! For the record, not just breakfast, I can enjoy any day even for lunch or dinner. 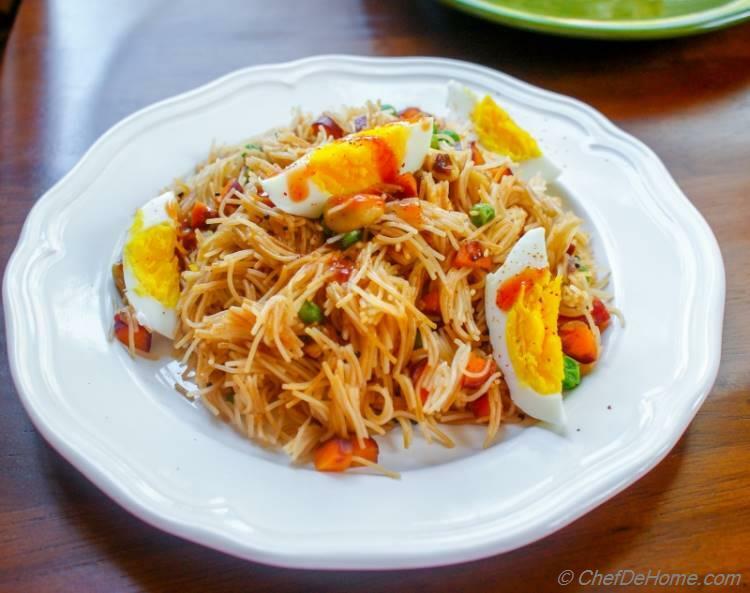 The non-traditional addition of unexpected ketchup in Vermicelli Upma makes it specially favorite with kids. Kids will be so busy enjoying the sweet-sour noodles (semiya) and egg that no one will notice eating veggies! How goo does that sound? PS: Use any veggies of your choice. Carrots and green peas are my personal favorite. I often made vermicelli upma with just mustard, lemon and seasoning..... but when I learned the trick to add some ketchup... I was pleasantly impressed and surprised. This version of upma, which I adapted from an Indian Cookbook a few years ago, has made a fixed place in my heart and I have been waiting for long time to share this recipe with you. 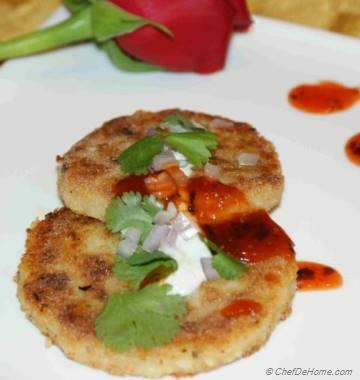 To keep this upma vegetarian, all it needs is not using the eggs. However, if you eat eggs, I highly recommend trying it with boiled eggs. I'm sure you will enjoy the addition of eggs. I special feature of this version of upma is that it travels well and can be served at room temperature. I sometimes even pack this for lunch with some side of fruits. So, bring a delicious change in your family breakfast this week! Make some Vermicelli Upma!! I'm telling you, you will find all ingredients for this savory breakfast in your pantry! No need of a special grocery trip! 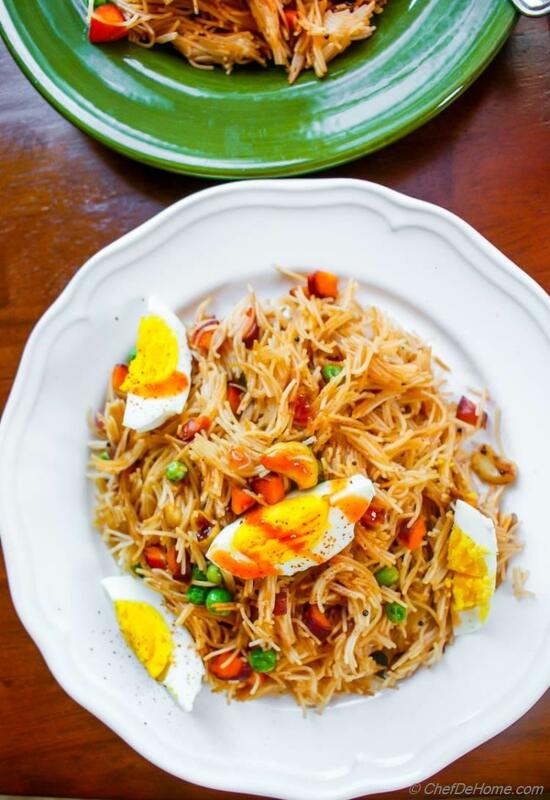 Smart Swap Just skip eggs to keep Vermicelli Upma completely vegetarian. 1. Heat 1 tablespoon oil in skillet. Add cashews and toast until brown and crispy. Remove in plate. In same oil, add vermicelli and cook until light brown and toasted. Transfer the toasted vermicelli to a plate and set aside. 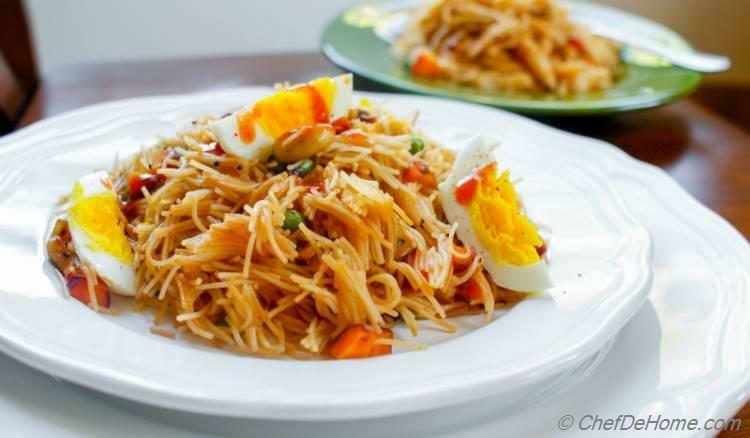 If using eggs, boil them while you cooking vermicelli upma. 2. In same pan, heat oil (smoking hot), add mustard seeds, cover and let get black. 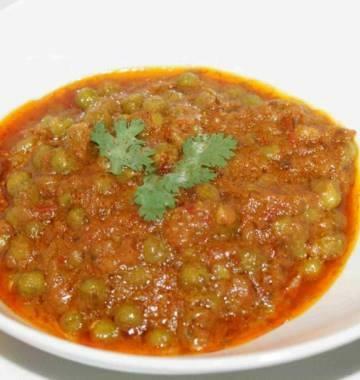 Add diced carrots, green peas cook until just soft (2-3 minutes). Add toasted vermicelli. Now, add water 3-4 tablespoon at a time until pasta is soft and water is fully absorbed. 3. Now add sugar, ketchup, chili powder, and lemon juice. Combine with vermicelli. Taste and adjust seasoning. Top with roasted cashew nuts and sliced hard boiled eggs. Serve and enjoy! I love semiya upma..adding eggs is a nice touch! Now only if Sarvesh would eat eggs, I would add them too! Looks yum Savita! Thanks, Manali! :) Eggs certainly go great in this upma, but you know, if you get chance, if not eggs, try with ketchup, you gonna love it!